I wrote a column about my finds—many shared their viewpoints. In that column, I also wrote about the difficulty several of us have in being on the receiving end. In other words, we can easily give but can we just as easily receive? Melanie, a former client is a perfect example. I told her that allowing others to give to her was a gift in itself. We all agree it’s rewarding to give, so when we let others give to us we’re doing them a favor. Some people don’t see the gift they are to others. Kay was one of those people. Sadly, she was blind to her own value. So immensely wrong she was! You can read about her here. For something to qualify as a “gift,” it need only be paired with the heart. 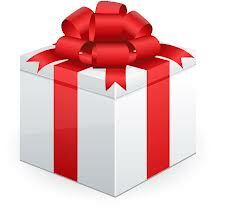 How would YOU define a gift? I love getting your feedback. And by the way . . . happy holidays! Gifts for me are compassion, truly hearing what others have to say, positive support and encouragement, nature, yoga and my list could go on. Hence, the theme for me is gifts aren’t “things,” they come from the heart!